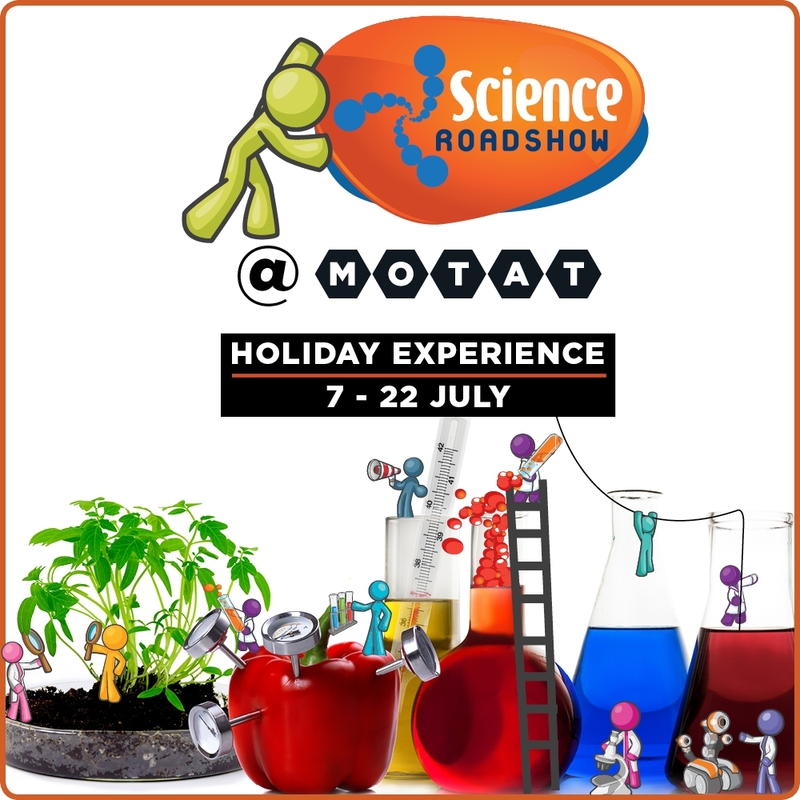 Celebrating thirty years of science on the roads of New Zealand, the Science Roadshow is making a stop at MOTAT this July. These school holidays will be chock-full of hands-on science experiments, activities and live demonstrations including some brain-stretching, stomach-churning, and mind-blowing learning. Uncover the science behind temperature and learn about chemical reactions in the “Fire & Ice” live show. Prepare to be dazzled by chemistry – but don’t try this at home! Discover the fascinating science of biology in “Am I Living”. This one’s jam-packed with interesting facts about humans, animals, and plants. From engrossing to a just little bit gross! Then get stuck into some experiments of your own when you explore the collection of interactive science exhibits on offer. How do muscle and bone joints work when you ride a bike? Why do you slow down if you hold your arms out while spinning? Investigate sound waves, vibrations, and energy. Have a go with some surprising visual effects, crazy reflections, and tricks of motion. Witness some of the fastest science around with an action-packed selection of bite-sized “Science in a Sec!” experiments. Explore pressure, energy and more as our presenters take you through these short and snappy science activities. Experiment with sound on the Vocoder! Speak into the tangle of coloured tubes and listen to how it manipulates the sound from the opposite end as it travels through the pipes.